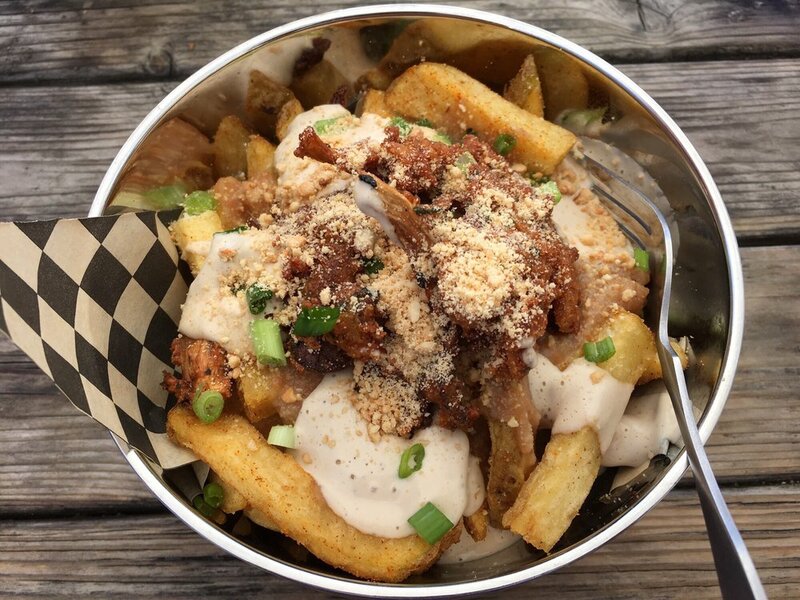 Food trucks have given a new meaning to the term “fast food,” providing a motley menu of gastronomic goodies from around the globe right at your street corner, outside your favorite bar, or at that empty parking lot by your work. 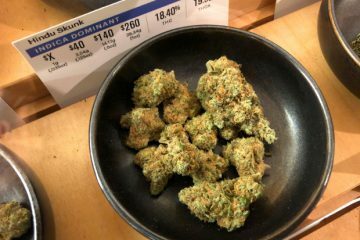 Portland has recently exploded as the food truck Mecca of the U.S., but Oakland is nothing to scoff at with its wide variety of high-quality choices. Where would our street fairs, carnivals, and farmer’s markets be without these four-wheeled wonders? 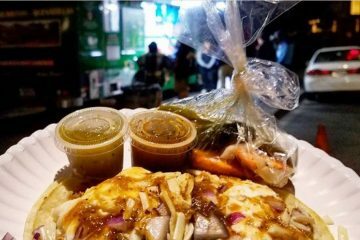 When all other late night grub locales have closed, food trucks beckon us to their steamed-over windows, reeling us in on the hooks of their heavenly aromas. 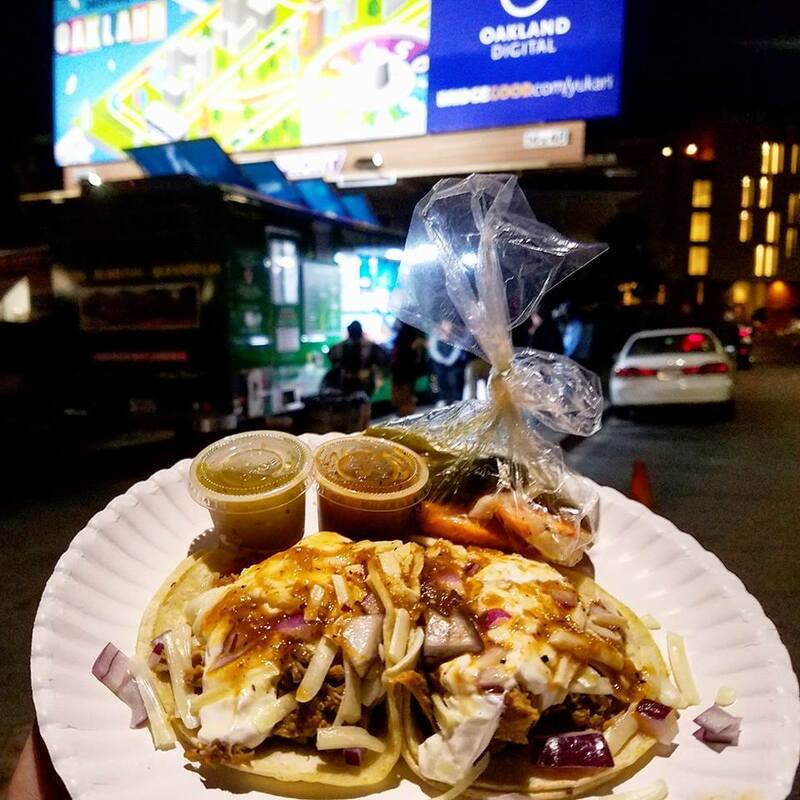 Skip the reservations, ditch the ties and high heels, and get in line for the best food truck selections in Oakland. 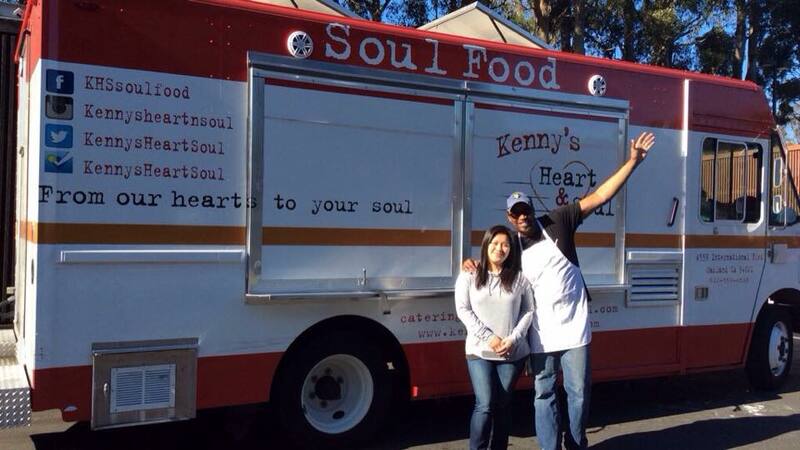 Part of the charm of this particular food truck is its owner and namesake, Kenny. An eclectic and electric Oakland personality that knows every single human being in the Bay Area, Kenny was raised in Taiwan but, given his soul food chops, you’d think he had spent his days in the backwoods of Georgia. Each flakey, buttery bite of cornbread, each crispy, peppery wing of chicken, each tender strip of pulled pork, each spoonful of creamy Mac N Cheese is prepared with love from a world-class culinary brain. 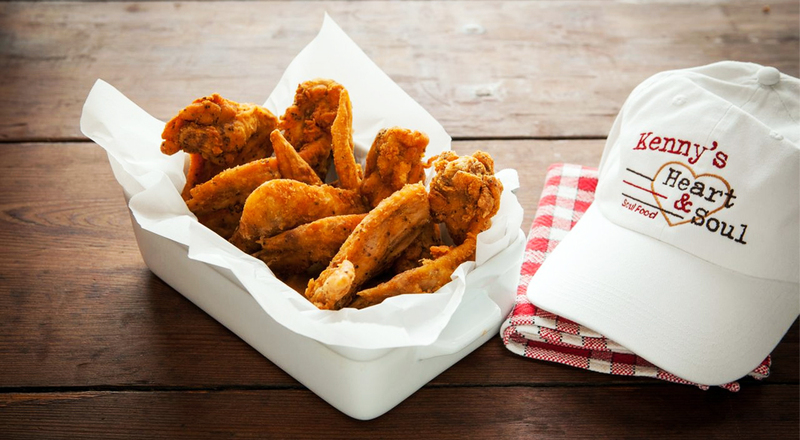 There’s something to satisfy every soul food craving, from collard greens to BBQ baked beans. Kenny’s food is like a warm embrace for your lonely stomach. 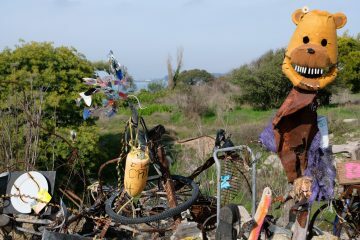 It’s worth finding the truck wherever it may be in the Oakland area–check the website and get in line for some lovin’. 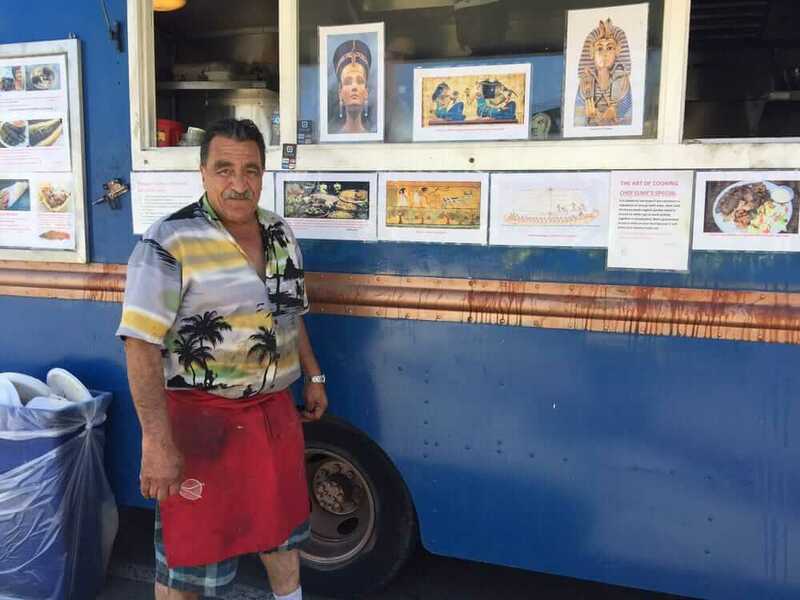 This food truck is curated by none other than Chef Elmy Kader—a celebrated champion of middle eastern eats in the East Bay. Elmy is a man that lives by two culinary mantras: 1. your food is your medicine, and, 2. If you’re grandmother doesn’t recognize it as food, don’t eat it. In fact, he doesn’t even sell soda, because he considers it “poison.” That’s why Royal Egyptian dishes up only the most delicious, nutritious, and generous portions of dolma, falafel, and khoshary you can find. Dappled with jalapenos and herbs, the tang of these dishes reaches the nose first, making the tongue glisten. Legal difficulties forced Chef Elmy to leave his usual spot at Jack London Square for a new spot in Berkeley, though, as a long-time Oakland institution, Royal Egyptian belongs on this list. 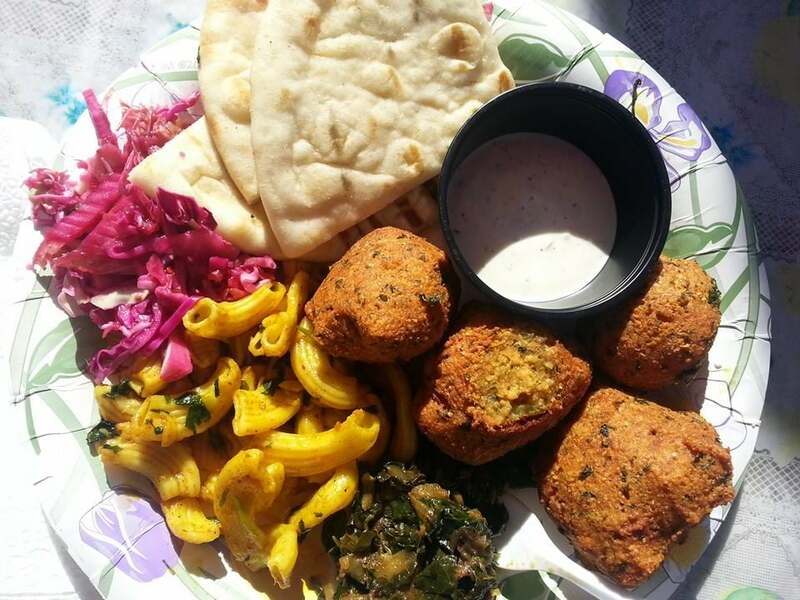 One of the best culinary experiences you can have in the Bay Area and singlehandedly the best Egyptian food you will find outside of Egypt, Chef Elmy’s menu is more than just a passing lunchtime fare—it is an experience. Any food truck list would be remiss without including a delicious and authentic four-wheeled Mexican fiesta. 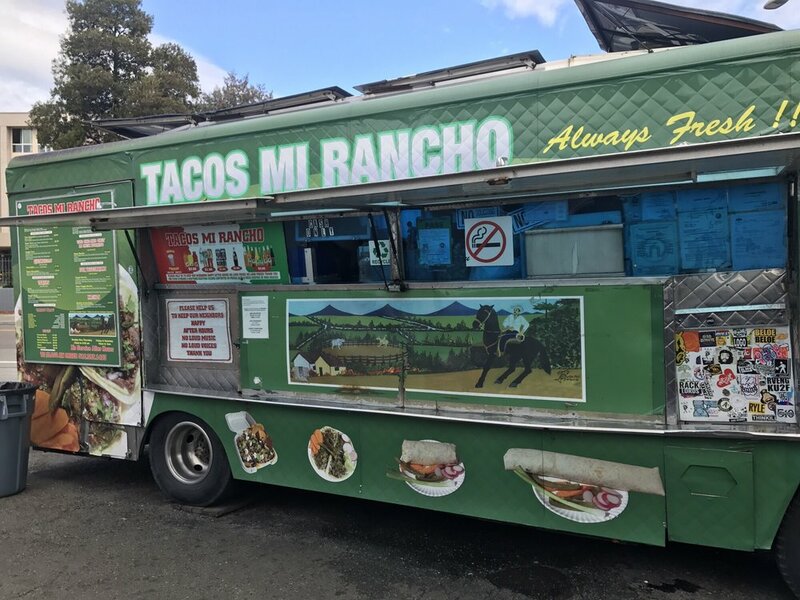 Tacos Mi Rancho, on the east side of Lake Merritt, delivers the best tacos, burritos, quesadillas, tortas, and nachos this side of the border. People line up until 3 in the morning for their tinfoil-wrapped 15-inch “Super” burritos (a Taco Mi Rancho original) after a night of bar hopping by the lake. 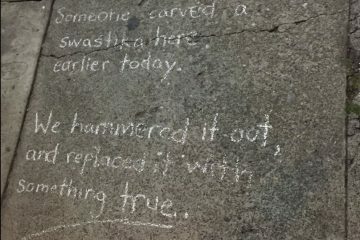 This nightowl hotspot has generated consistent community buzz, with a doting fan base of regulars that will attest to Rancho’s mouthwatering Mexican menu. Prices are more than fair—for just $2, you can get a taco with the perfect balance of meat, cilantro and salsa with a side of freshly-fried chips for only 50 cents. 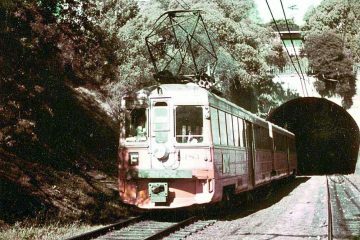 Borinquen Soul transports you to that little green island, allowing you to feel the warm, salty breeze, listen to the rustle of swaying palms, and sift the white sands between your toes as you bite into a savory empanadilla—all while in the bustling city of Oakland. 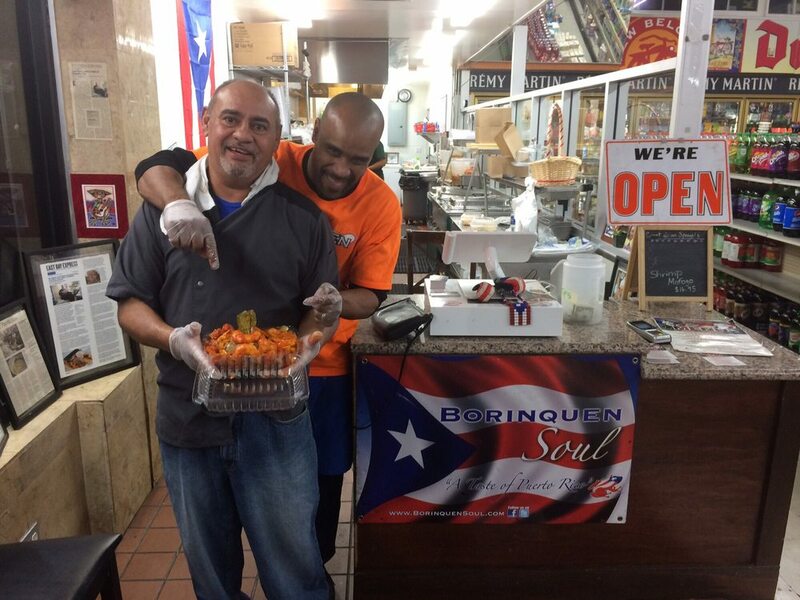 Offering up tamales, rice dishes, fried plantains and bang-for-your buck combos with shrimp, beef, and chicken, Borinquen Soul sends your taste buds on a tropical vacation to the “rich port” whether you’re on your daily lunch break or a night on the town with the amigos. 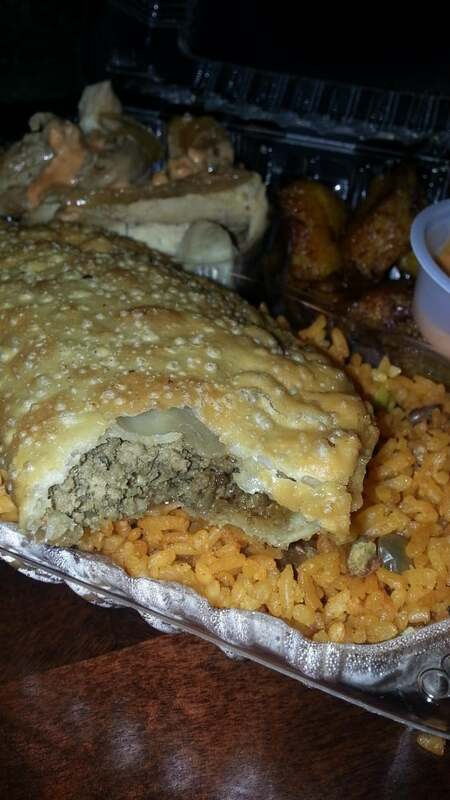 Empanada + Combo #1 rice, garlic chicken and onions, and plantains! 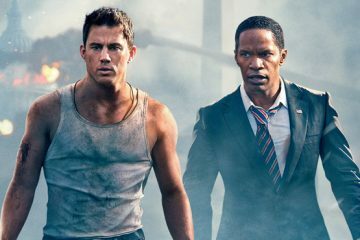 So good!! 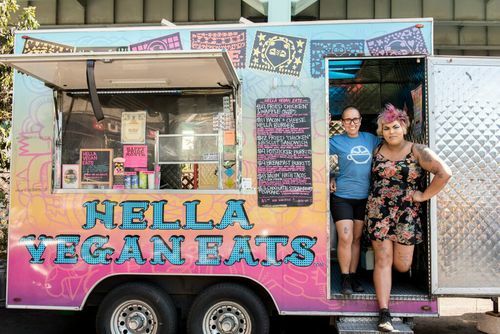 Owners and Chefs of Hella Vegan Eats Tiff and Sylvee Esquivel moved to Oakland in 2009, and quickly established themselves as the go-to gurus for vegan goodness. Eating at Hella is not like your “typical” vegan experience—nothing feels compromised or lost in this epicurean endeavor, with delightful artistry in every pastry, donut, cupcake, sandwich, burrito, torta, and salad. Even meat eaters flock to this spot for staples like their Mac and Cheese, which sacrifices no flavor and tastes as good as it does slathered in dairy. This down-to-earth, no-guilt locale has a constantly-revolving menu with surprising items like “donut burgers” and fried “chicken” sandwiches that open up a world of vegan cuisine capable of converting even the most staunch flesh consumers.